The CherryArts Art Auction bidding has officially opened. To get you started on your bidding journey, the following details the ins and outs of the Art Auction online and onsite. Who does the Art Auction benefit? The proceeds from the Art Auction go toward the CherryArts’ year-round nonprofit mission of providing access to art experiences and supporting education. More than 300,000 students have been impacted by CherryArts. For more information about CherryArts’ arts education programs, visit Cherryarts.org/education. 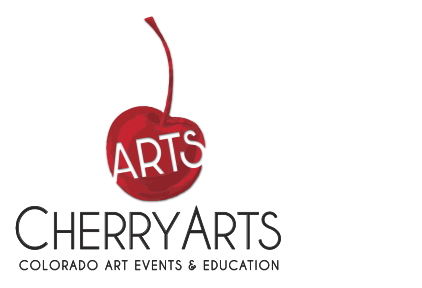 The 2016 Cherry Creek Arts Festival exhibiting artists generously donate the art pieces. For this reason, the auction gallery serves as a great way to preview the artwork of several exhibiting artists in one location. Patrons can visit Cherryartshop.org/auction to view and bid on the pieces online. Patrons also can visit the onsite Art Auction tent on Clayton Lane and 2nd Avenue near the JW Marriott to view the artwork in person and bid using an onsite laptop. Bids close in a staggering format on Monday, July 4, beginning at 7 p.m.
You can check the status of your bid online by logging in and checking the My Bids area. You’ll be notified via email if you’ve been outbid or when you win a bid. How do you win & receive the piece? The online bidding system will automatically stop accepting bids at a designated time. Please note, last-minute bids may not register due to delays in the system. For more information about this, please visit cherryartshop.org/auctions. Now, ready, set, bid! Can’t wait to see what piece you take home.